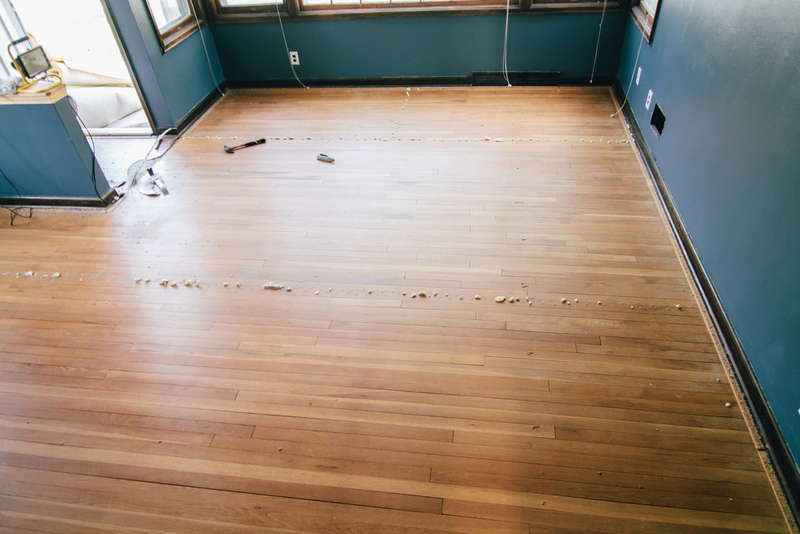 We tore up the carpet, hoping to reveal beautiful hardwood floors and we did! But there was fake brick plaster stuff on the floor next to the front door. So I spent a while scraping that all up with a putty knife and Windex. Worked pretty well actually. See. 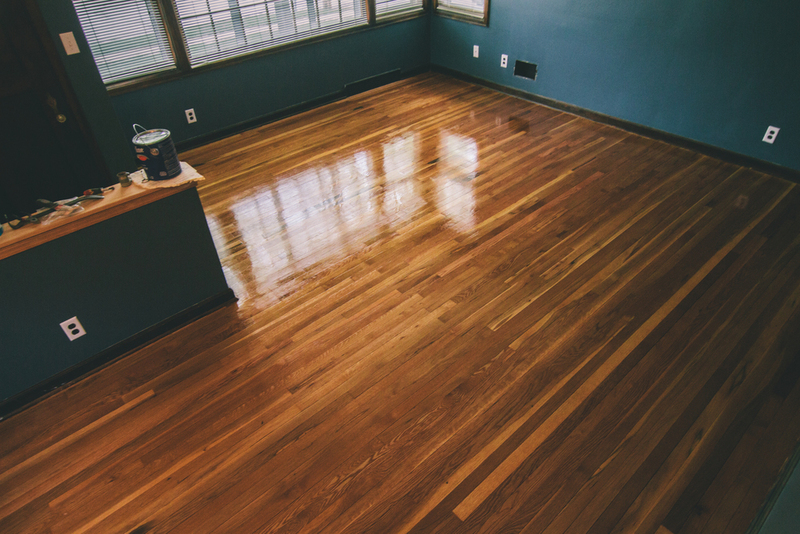 They got it all sanded up when they refinished the floors. Testing the color. We loved it. Texturing the ceiling because you could see waves and lines on the ceiling, but the texturing covered it up nicely. Amanda picked everything out, I just went and picked it all up. Love the way this all turned out. 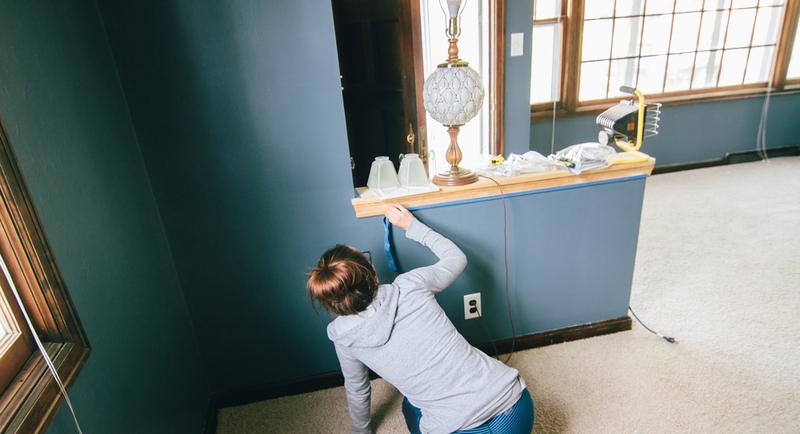 My aunt Mary came to help and painted the whole basement's first coat by herself. Thanks Mary! We had to sleep in the basement for several months while we finished the closet and our bedroom upstairs. We finally got all the surround sound hooked up, thanks to the people before us for getting it all put together, and finally got a real TV! 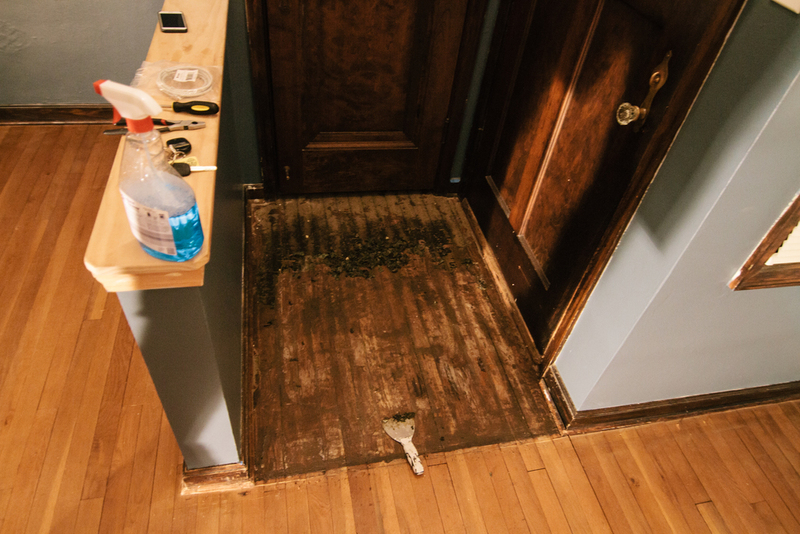 Tore up the carpet in this room also to get those nice wood floors to show! Hottie painting. Thanks for doing it so I didn't have to do much! As you can tell, this was definitely the room that went through the most change. It was only half drywalled, so my dad and Phil Connatser helped do most of it. Wouldn't have been able to do get it done without those two! This was another thing I was horrible at and hated. 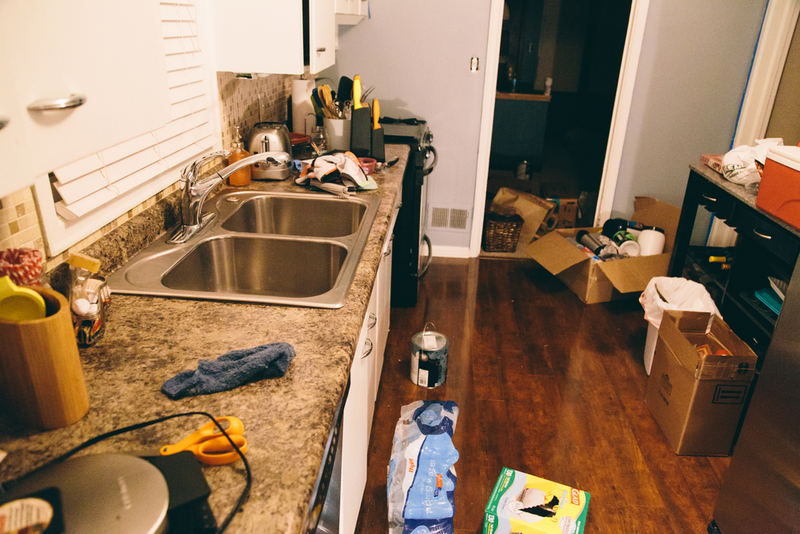 I am not good at perfecting things on the house that are supposed to look neat and nice. 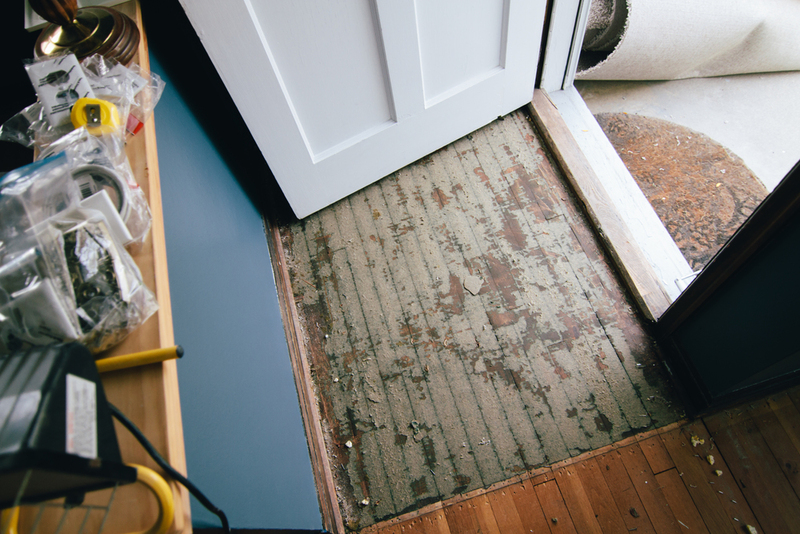 That's why I like tearing up the carpet, and ripping out staples, not finessing drywall lines. Thanks dad! I am very happy with how this turned out. I love the cabin-feel to our master bedroom. Even though in the winter it gets freezing cold up there and in the summer it gets sauna-hot. PTL for window AC's. Refinished the floors by myself, this room and the closet. Pretty happy with the way the floors turned out. But after I got it done. It didn't look that good, so I had to do it over again, unfortunately. Again, carpet is a no-no. Jk, you're better, you just do it. Got it sanded up really well. 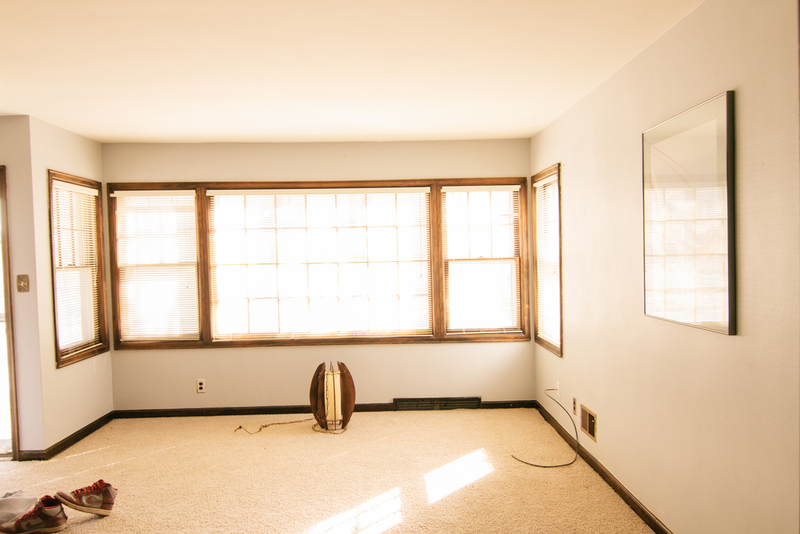 I love the natural light this room gets!